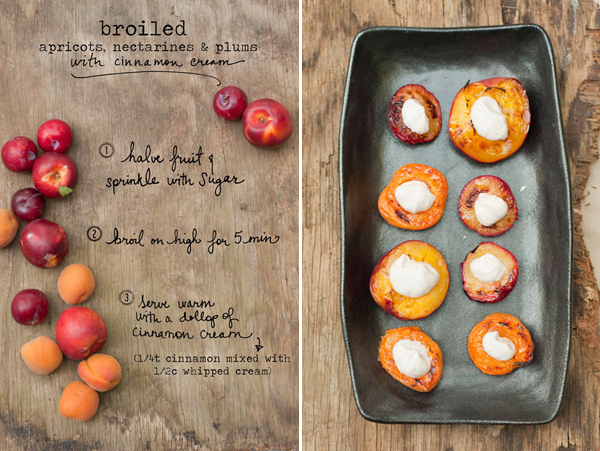 Erin Gleeson is the talented lady behind The Forest Feast, a blog where she beautifully displays her photographic recipe illustrations. 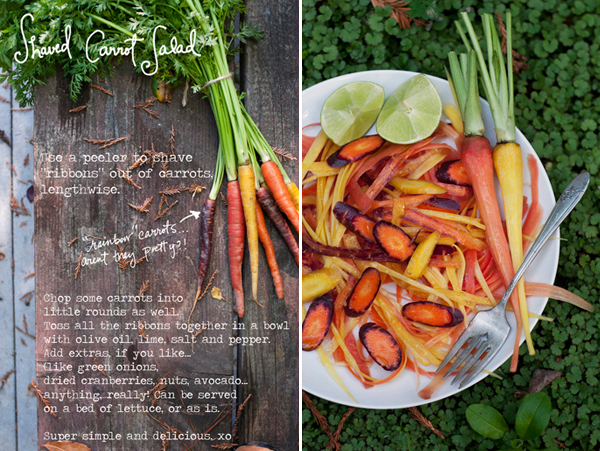 I love her site because her delicious-looking meals, made with local ingredients, make me want to hit a farmers market more than once a week to load up on fruits and veggies. 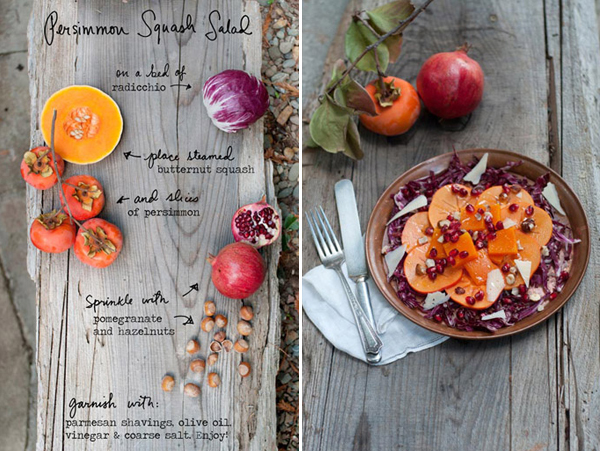 Before creating The Forest Feast, she worked as a food photographer in NYC. Now, she lives in a cabin in the woods just south of San Francisco. Lucky. 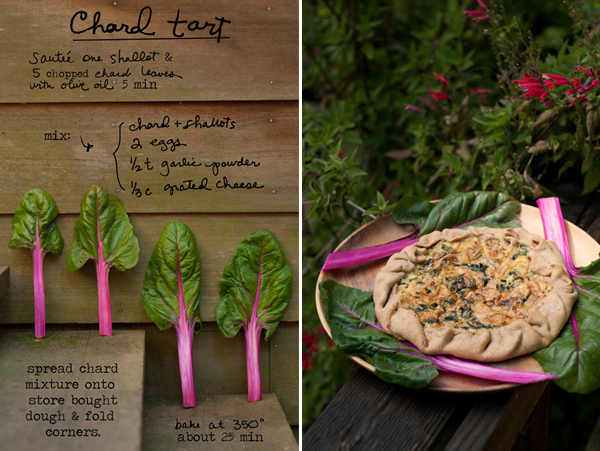 Also, Erin is working on "The Forest Feast Cookbook," which will be available in Spring 2014. Gah. I can't believe I have to wait that long to buy a copy. You can also see her personal website here. 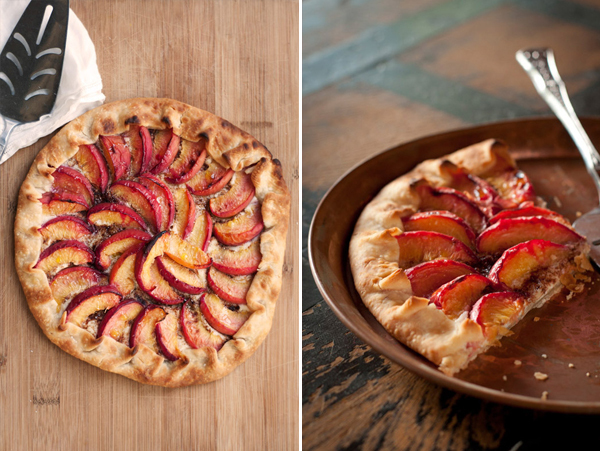 “Photos by Erin Gleeson for The Forest Feast"
These photos are amazing. Indeed, they make me want to run towards the farmer's market and buy all the veggies and fruits needed. Thanks, Jemma. 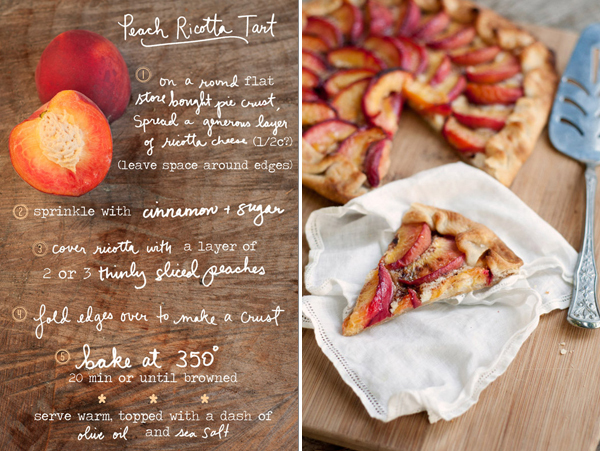 I'm going to try out the peach tart this summer!